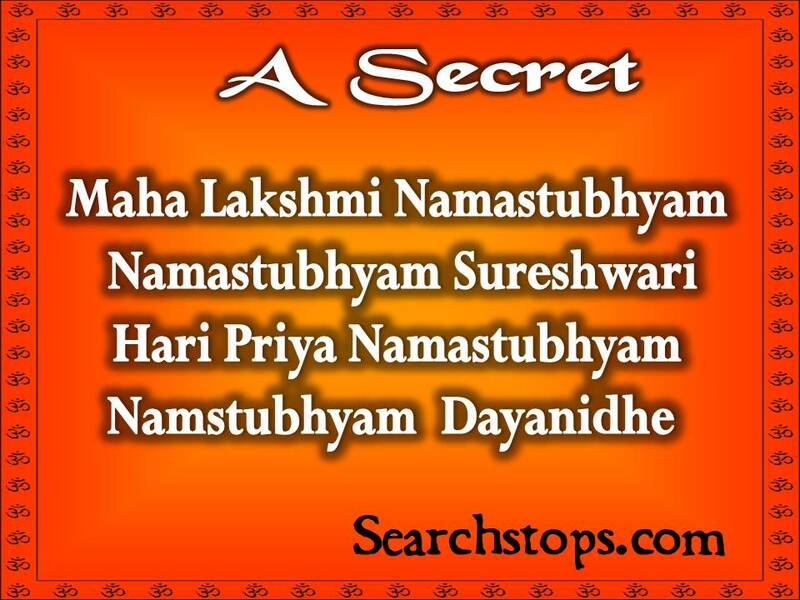 , which is combined with other words to form various Mantras. Goddess Lakshmi is the Goddess of Wealth and the divine consort of Lord Vishnu. 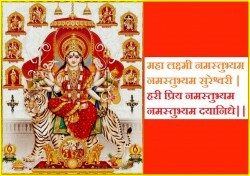 She is worshipped widely by everyone since She is the provider of wealth and purity. 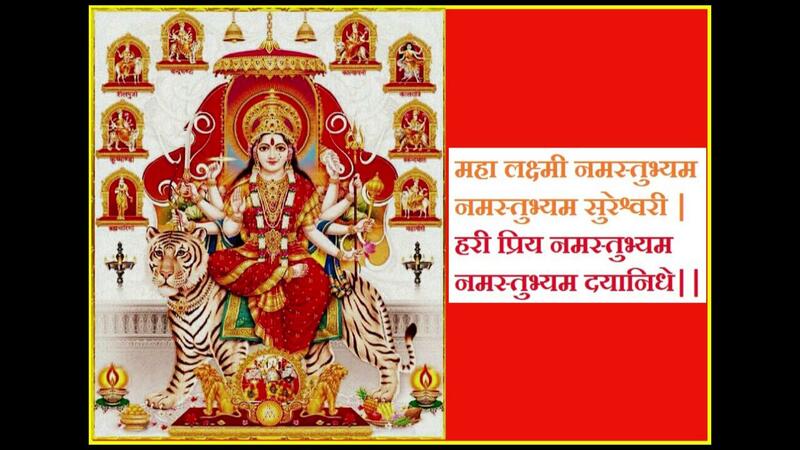 She protects Her devotees from any money related worries and bad luck. She is also the symbol of beauty, fertility and auspiciousness. Her importance in the Hindu religion is said to be prime as the divine prefix “Shri” (also written as Shri) is written on the top of any document before beginning the writing process. Goddess Lakshmi is the daughter of Sage Bhrigu and is the symbol of wealth to the Gods. When Gods were sent to exile due to the curse of the Sage, Durvasa that all Gods would lose their power, She took refuge in the ocean. For gaining immortality and defeating the asuras, the gods started churning the ocean in search of a powerful elixir, Amrit which would provide them immortality, glory and immense power. While churning the ocean there were many treasures that surfaced and Goddess Lakshmi was one of them. She took rebirth from the process and came out with a garland which she used to choose Lord Vishnu denoting Him as the divine consort and helping him to maintain the universe’s wealth. Narration in Vishnu Purana describes that Goddess Lakshmi had to leave Swarga due to the curse of Durvasa and reside in Ksheersagara. The re-emergence of the Goddess after Samudra manthan and Her marriage to Lord Vishnu are depicted in the same manner. Goddess Lakshmi has also been depicted as a devotee of Lord Shiva, whom She worshipped most reverently. As per some blockures, She has been associated with Lord Indra and Lord Kubera too. Goddess Lakshmi is seen in many forms from which two of the major forms are – with Lord Vishnu where she is massaging the Lord’s feet and the other form which is widely worshipped by devotees. In this form representation She is depicted as an immensely beautiful woman who has golden complexion representing radiance. She has four hands and is graced on a full bloomed lotus that represents purity. The four hands actually are a denotation of the four ends of life that represent – Dharma, Artha, Kama and Moksha. The rear hands on both sides hold lotus bud to symbolize purity of the soul. The right front hand provides blessings and the left front hand has gold coins falling from it which provides wealth and prosperity to the devotees. Goddess Lakshmi is always seen in a beautiful red saree that represents activity in the world and has golden embroidery and lining on it that adds up prosperity to the saree. There are two elephants shown standing and spraying water from their trunks. The elephants are a symbol of devotion that doesn’t stop ever and with true dharma, wisdom and purity, one can appease Goddess Lakshmi. Goddess Lakshmi is also called as “Mata”, which means Mother Goddess who provides prosperity to everyone. Goddess Lakshmi is worshipped by every Hindu and is regarded highly by traders, businessmen and women. 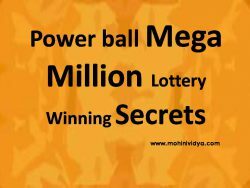 She has become a household name when it comes to praying for wealth and prosperity. The Diwali festival has an auspicious meaning to Her worshippers. It is said that on the night of full moon She Herself visits each home and blesses the devotees with wealth and hence the day is called as Lakshmi Pujan day. In the evening of Lakshmi Pujan people keep their homes brightly lit with a lot of lamps and keep the doors open as it is believed that Goddess Lakshmi can walk into any home where She sees lights. There are a lot many Mantras available to praise the Goddess. 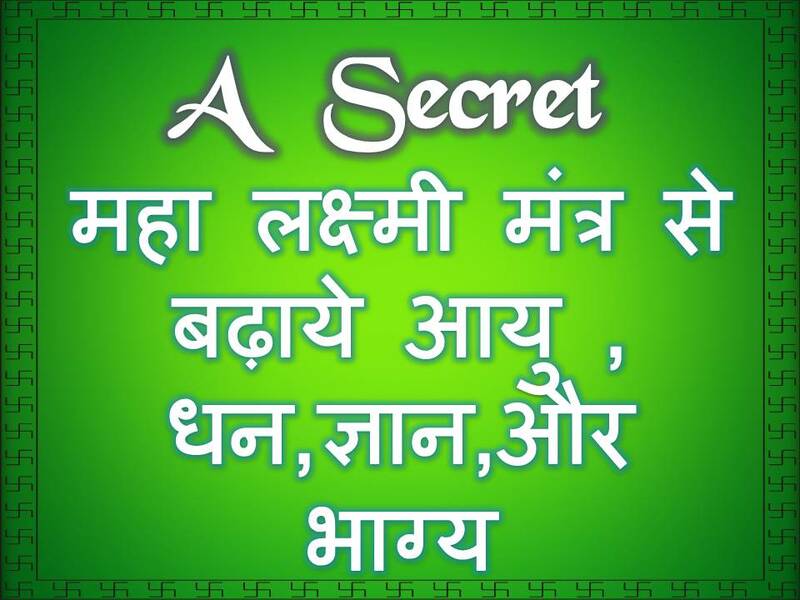 Following are few of the most simplest and effective Mantra for quick prayer. 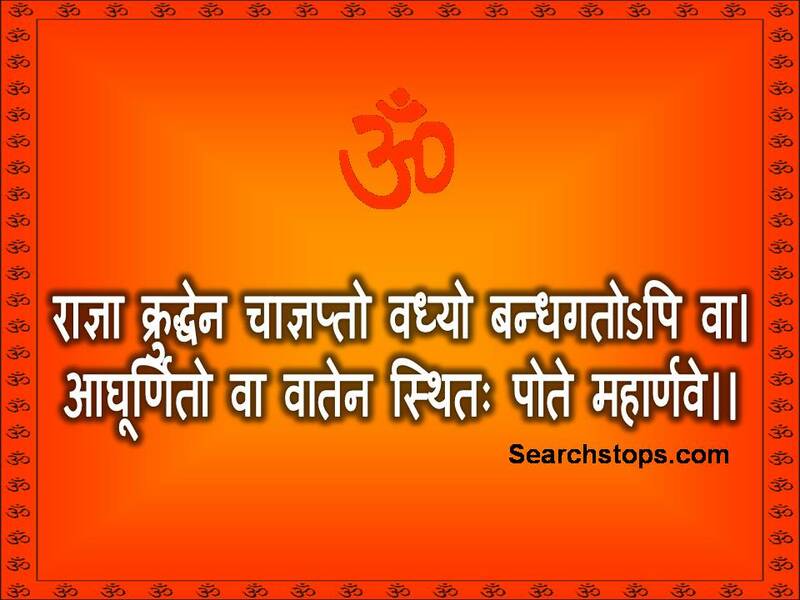 Meaning: This mantra is the root or the most basic mantra to please the Goddess and open your heart towards her for her blessings. 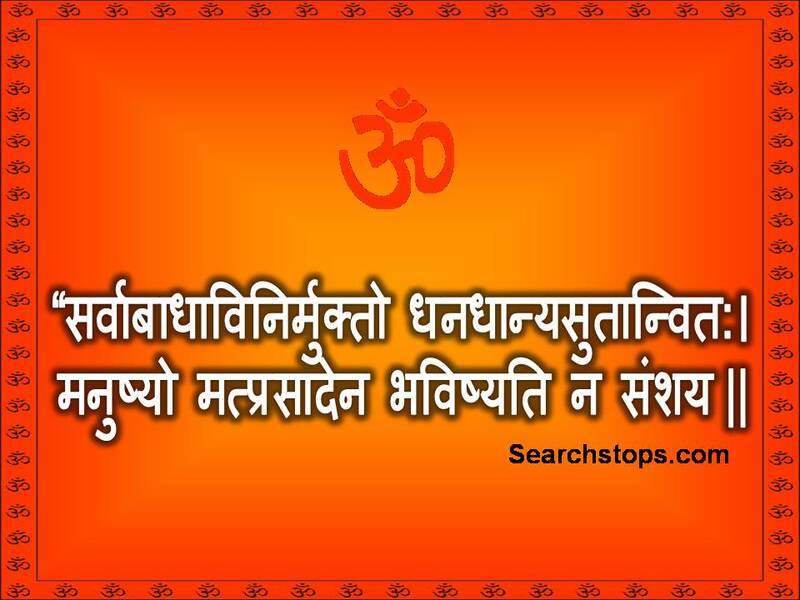 Meaning:This mantra provides salutation towards the Goddess and prays to her, the one who is omnipresent to take away all the fears and evil from life and bless the devotees of prosperity and wealth. This is a prayer to the Goddess Lakshmi, the wife of Lord Vishnu and the Goddess of wealth and prosperity. Please accept the prayers of your devotees and provide them with abundance. Grab some fresh Flowers and devote in Goddess Lakshmi’s Lotus Feet . हे महालक्ष्मी आपका स्वागत है , हे महा लक्ष्मी मै आपका आवाहन करता हु , मुझे दर्शन दीजिए , मै अपने आभावो को दरिद्य को नस्ट करने के लिए आपका आवाहन करता हु… Please Come into My Life …. Namah Kamal Vasani Swaha ….